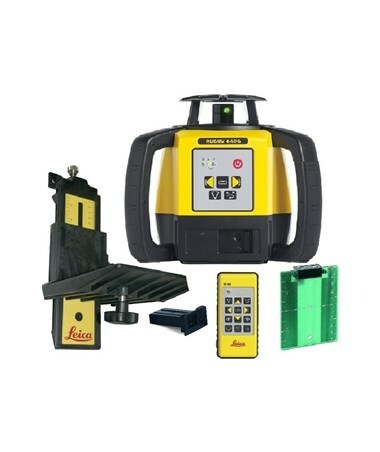 Designed for all leveling, aligning, and squaring applications, the Leica Rugby 640G Green Rotary Laser is a multi-purpose self-leveling laser. 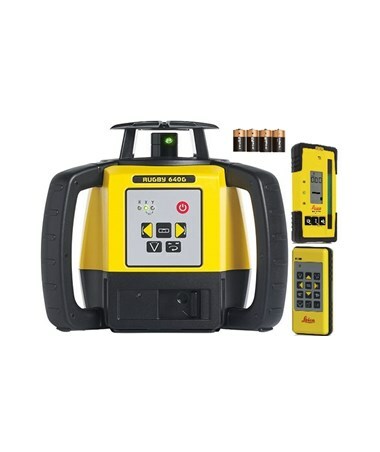 Featuring an accuracy of ±3/32 inch at 100 feet, it can easily work on range up to 1,300 feet with the use of the Rod Eye 120G laser receiver. 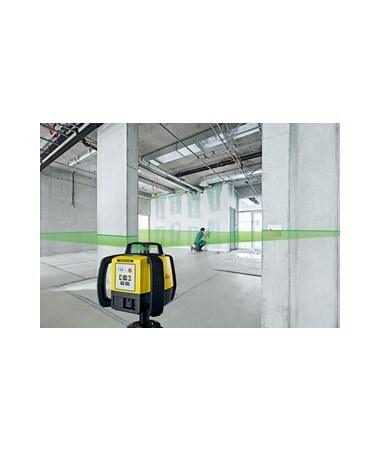 With its green beam technology, the laser is four times more visible to the human eye compared to usual red beam lasers. 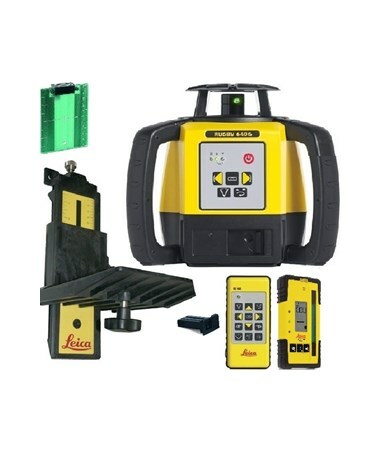 Self-leveling within ±5 degrees, the Leica Rugby 640G can perform all horizontal and vertical leveling tasks and has a dual-axis manual slope. 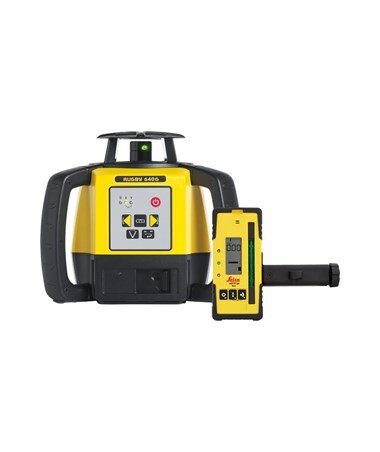 Plus, it boasts interior functions including plumb down, beam scanning, and four adjustable rotation speeds of 0, 120, 300 and 600 rotations per minute. 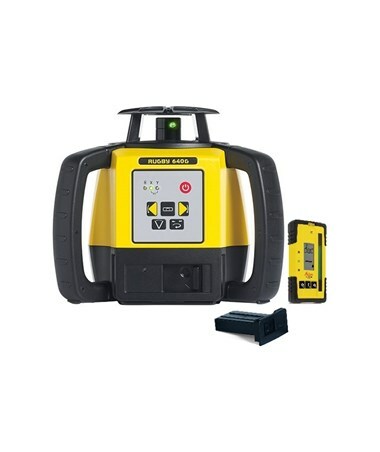 Featuring elevation alert, this construction laser will notify the user if the height has been adjusted preventing errors and miscalculations. 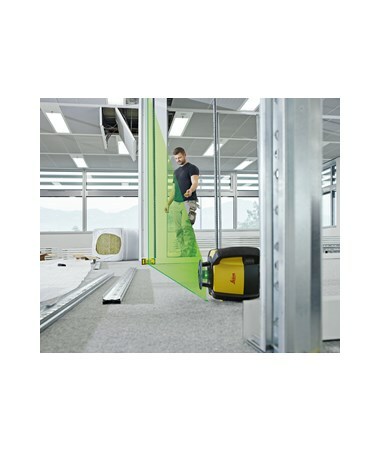 Plus, the Scan 90 makes layout easier by moving the beam 90 degrees either to the right or left. 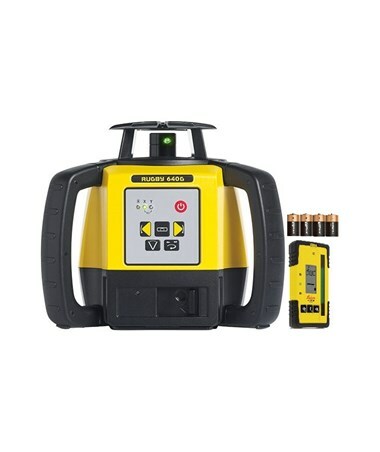 With an IP67 rating, this construction laser is dust and water resistant. 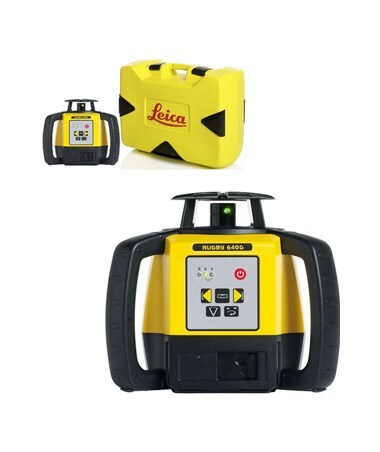 The Leica Rugby 640G includes clear LED indicators and a sleep mode function to help save battery. 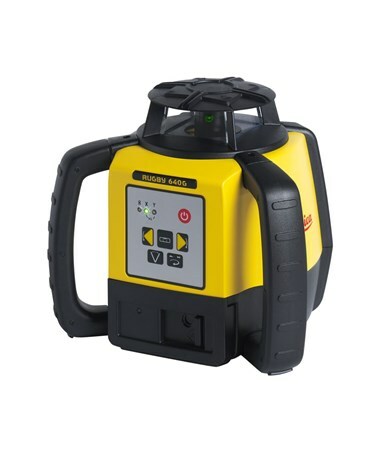 As an additional feature, it comes with a 5/8-11 thread for an easy and hassle-free tripod attachment. 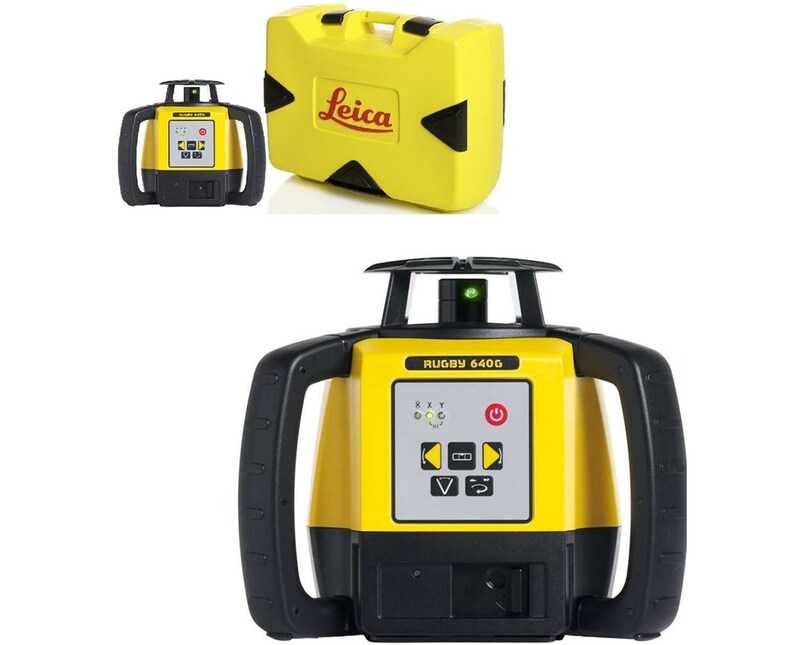 The Leica Rugby 640G Green Rotary Laser offer seven packages with varying included items for your construction needs. Please choose from the drop-down menu above.